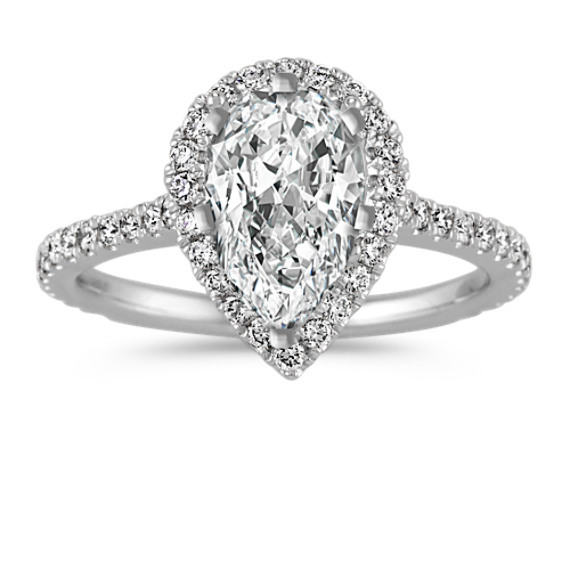 Pear-Shaped Halo Diamond Engagement Ring | Shane Co.
Sixty-six round diamonds at approximately .49 carat total weight sparkle and shine in this sophisticated engagement ring. Crafted of quality 14 karat white gold, the stunning halo design measures 13mm wide. Part of our exclusive Eternally Yours collection, simply choose the pear-shaped gemstone of your choice at approximately 2.00 carats and complete her dream ring.